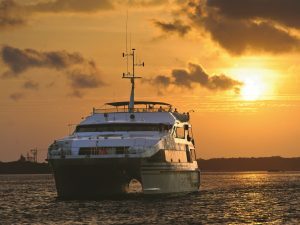 Take your trip to the next level through Bali Cruise packages. 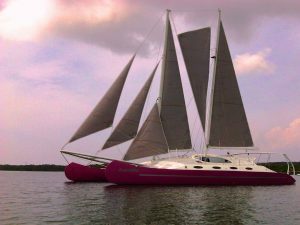 If you are looking for the best way to spend your holiday in Bali, then a cruise trip is your best offer. 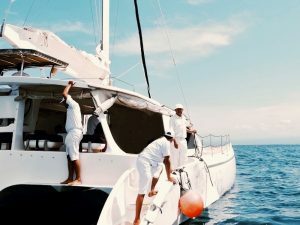 Sailing with the best cruise crews and enjoy the Balinese ocean view will be your everlasting holiday memories. 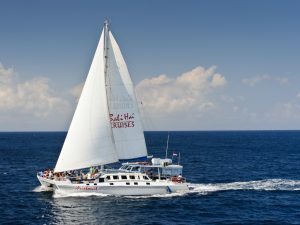 There are some of the best cruise in Bali that are ready to create the most memorable trip for you! Once you book the package, you will get a full service! From your arrival until the end of the trip, your trip is guaranteed. The only thing that you need to do here is enjoying your holiday and take bunches of pictures here. 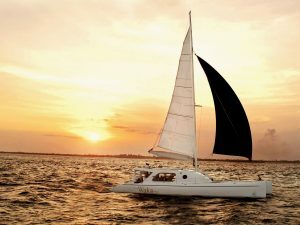 Wanna try a unique sailing experience? 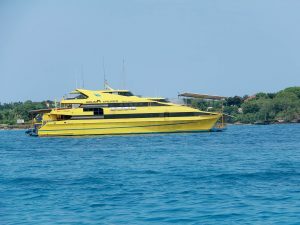 Try the Bali Aneecha Catamaran or Bali Wakasailing Catamaran. 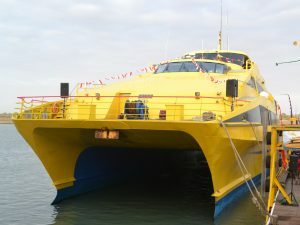 Hop on the great Catamaran and enjoy the excellent service here. Travelling your loved one? 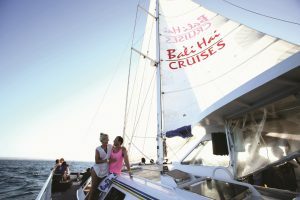 Try to impress your partner through the Bali Hai Aristocat Evening Cruise. Dinner will never be a boring thing for the lovebirds. Savor the romantic vibe on the cruise with the loved of your life. Enjoy your lovey-dovey moment along with scarlet dusk sky backdrop and ocean breeze. 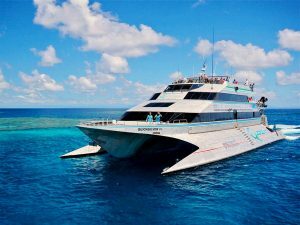 Moreover, cruise trip is suitable for any kind of travelers. For a family traveler, you will get more chance to choose your favorite cruise! 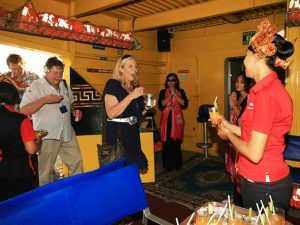 Most of the cruise options have several list activities that will make your family, especially children, be happier. 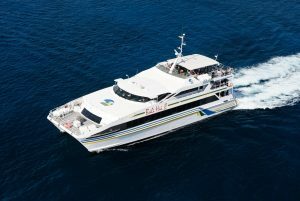 Bali Hai Cruise and Bali Quicksilver Cruise, for example, give the great itinerary activities when you book the package. 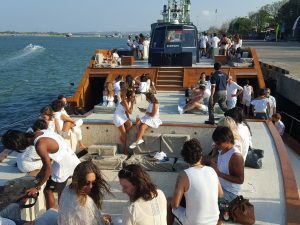 Moreover, most of the activities are suitable for everyone! 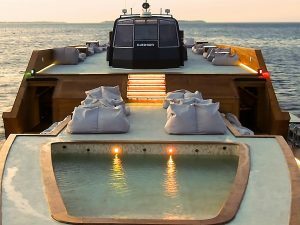 You can bring along your younger here and get the fullest cruise trip. 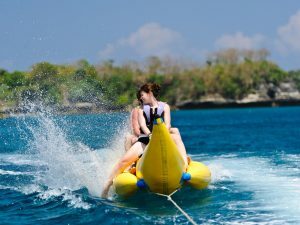 Scream out loud when you get to try the water activities such as banana boat, or watch the underwater scenery through the snorkeling activity. Your children will surely improve their knowledge when they get to visit the Balinese ethnic village! Children beach club is available as well in selected cruise package. So, while you are enjoying your “me” time, your children will get their fun time as well. 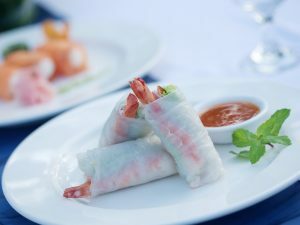 Besides those activities, you are able to taste some amazing cuisine!